Looking for something bold to dress your church's online presence with? 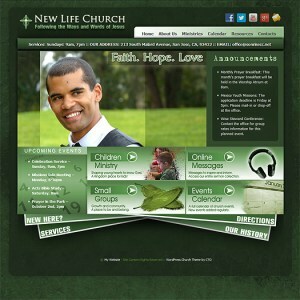 This latest in our new series of graphically-oriented church WordPress themes does exactly that. With a compelling mixure of clean and textured, grunge elements, this new responsive WordPress church theme is also as easy to use as it is fun to behold. With a designated admin Options page you can assign homepage elements without having to worry about FTP uploads of any sort.